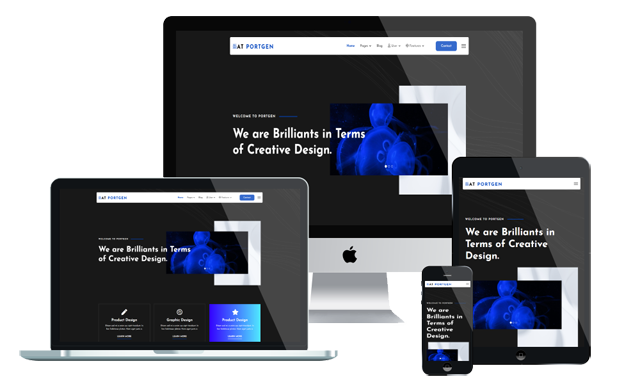 AT Portgen is premium Joomla template tailored for creative business and portfolio websites. Portgen is the embodiment of a fresh, clean, minimalist Portfolio Joomla! template which can also be used as a multipurpose template. This is modern and exclusive Joomla! template suitable for agencies and freelancers or for all creative people and agency / creative business. Portfolio Joomla! template was designed in best possible look with flat, clean and clear design that will make your website difference from others. AT Portgen is packed with a bundle of powerful features and you can use it to present your portfolio in the most glorious way. It is also fully responsive, so it looks great on all the latest devices. It also comes with a responsive about and contact page – including a working contact form – so visitors will get to know you and know how to contact you. Besides, Portfolio Joomla! template builds on powerful framework with completely Bootstrap CSS Framework, Support Font Awesome and K2 extended style, 4 color styles and boxed layout helping to create flawless websites with various layouts. In line with Modern Design Trends, Color Fresh and Dynamic, Creative with elegant look! This one will be an amazing choice! Support SP Page Builder 2.